You can decide to go on a Hero’s Journey on purpose. Right now. Right here. It takes only a decision. You think you’re not good enough? Not strong enough? Not smart enough? Not whatever-enough? Great. It makes you normal and ordinary and perfect for a Hero’s Journey. Reframe your goals and dreams as a Hero’s Journey, and it will change how you see your goals and how you accomplish them. Explore the magic of your Hero’s Journey and you will change how you see yourself. Author Pat Edwards shows how to tap into the universal structure of Joseph Campbell’s Hero’s Journey to transform how you achieve “your bliss.” She shows how setting out on your own Hero’s Journey opens a window directly into the consciousness and aligns your purpose with its benevolent purpose. Ms. Edwards uses myths and the stories of dozens of ordinary people on their own Hero’s Journey as well as her own Hero’s Journey as a shaman to illustrate how to complete the Hero’s Journey stages. Thoreau pointed out, “It’s not what you look at, but what you see.” Pat Edwards’ poetry brings her quirky vision to our life here “spinning on a blue planet, / if you can imagine a color called blue” and referencing icons like Buckaroo Banzai. Buy The Shape of the Universe on Kindle here. Buy The Shape of the Universe on Nook here. Buy The Shape of the Universe on Kobo here. Buy The Mechanism of Memory on Kindle here. 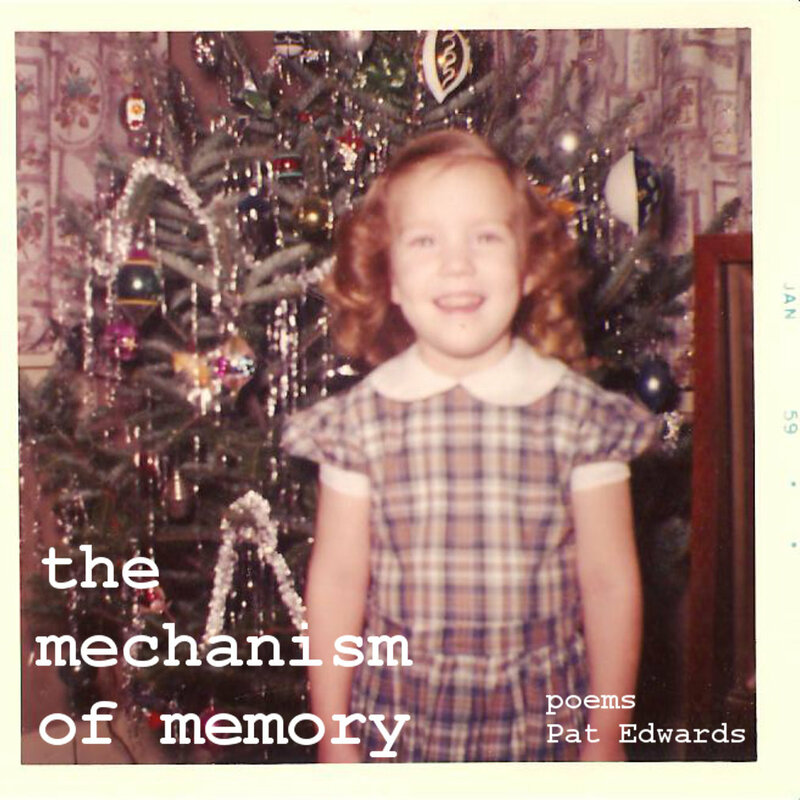 Buy The Mechanism of Memory on Nook here. Buy The Mechanism of Memory on Kobo here. 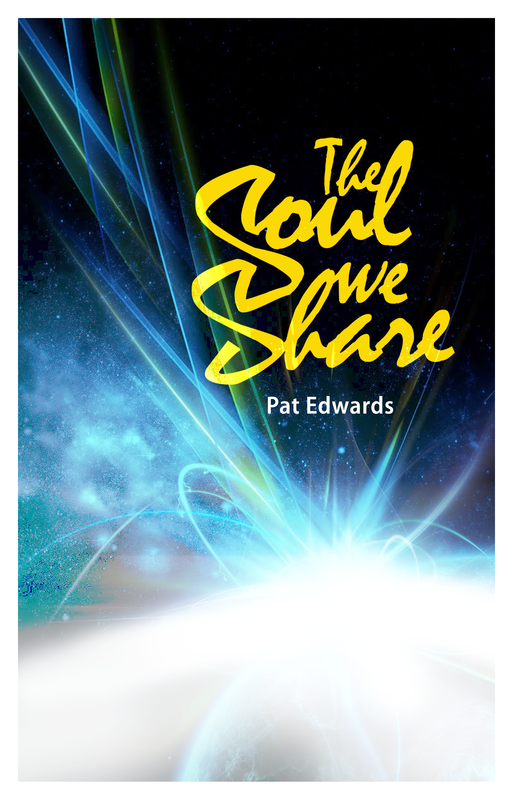 The Soul We Share is a mind-slam of insightful flashes, life-altering lessons, and poetry that describes Ms. Edwards’ own discovery of a greater understanding of our soul. Peppered with quotes from spiritual masters, this transformative memoir details her realizations and pratfalls on an internal spiritual expedition – an expedition that comes to the compelling conclusion that we all share the same soul. The soul is not inside of us; we are inside our soul. The Soul We Share goes against thousands of years of common beliefs, yet evokes a deeply-felt truth and insight: our soul is shared by everyone and everything; it is not yours alone. Is this what spiritual masters mean when they say that we are all one? And, if we are all one, why do most of us feel separate and alone? Hi Pat, I missed having you as my buddy call this week. But I was happy to find your blog. (You told me about it last week. I looked it up today.) I like how straightforward and clear it is. And catchy – “Spiritual practice for out-maneuvering the scurvy dog inside us all.” Very nice! I shared my own webpage below. I’m struggling to streamline it. You’re most welcome to take a look. I updated the “home” page today, thinking of you as my imaginary reader. Keep well and till next time! Amanda P.S. Three books already! Good for you! !